This Season Up Your Wrist Game With Stylish Timepieces From Casio's Denim Collection! Rediscover your favourite denim trend with Casio’s newest launch- the DENIM’D COLOR designs. 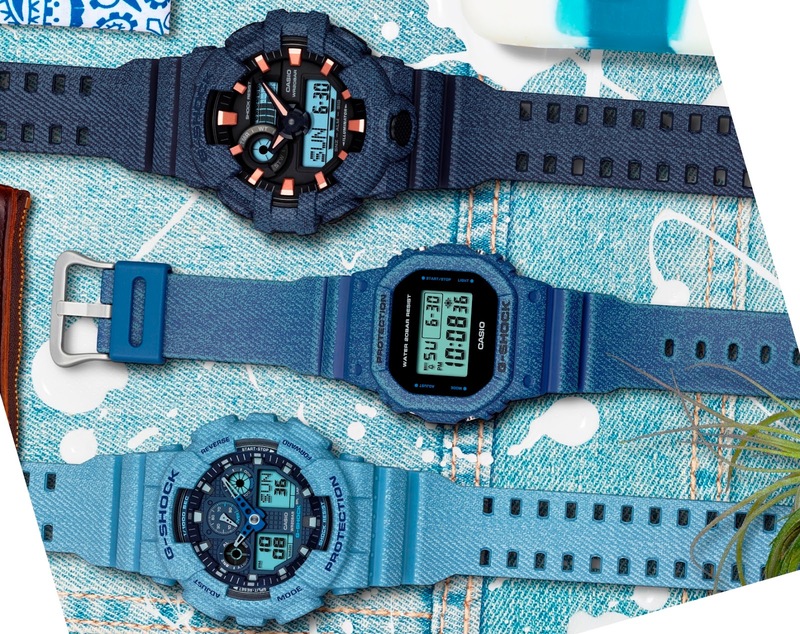 The DENIM’D COLOR variants will be a chic offering from the always tough and rugged G-SHOCK and the BABY-G casual watch for active women. The sturdy look of the G-SHOCK and the BABY-G Designs is enhanced by visual jeans, one of the most preferred styles in casual fashion. The availability of both G-SHOCK and BABY-G versions means that they can be matched into his-and-her pairs. These cool designs of G-SHOCK and BABY-G models are a must-have accessory for the younger generation. Speaking on the launch of the new DENIM’D COLOR collection, Mr. Kulbhushan Seth - VP, Casio India said, “We at Casio feel that there's one thing that never goes out of style, it's Denim! Casio’s new range of DENIM’D COLOR watches make for the ideal accessories to offset any outfit you put on. This season, our watch collection celebrates this contemporary-yet-timeless fabric. Take your pick from these stylish and innovative timepieces that are as cutting-edge as they are trendy”. For curating this new DENIM’D COLOR collection, the original Casio technology was used to produce a box and bracelet design that is inspired by the casual fashion of jeans, making these accessory watches super funky! Casio’s original technology is also used to produce a pattern on the case and band that resembles the look of always popular, always fashionable denim. The G-SHOCK line-up consists of the big case GA-700 with front button, the symmetrically designed GA-100, and the square face DW-5600, whose design is G-SHOCK to its core. The BABY-G models are the popular mannish design BA-110, and the popular square design BGD-500. Flaunt the fashionable denim for your wrist with new DENIM’D COLOR collection, priced in the range of Rs. 4500-7500 available across all Casio outlets in India.